Marco Polo described Calicut as the greatest province in Malabar. Portuguese explorer Vasco Da Gama first landed on Indian shores in 1498, in Calicut, paving the way for the spice trade between Europe and Malabar. Calicut emerged as the Centre of spice trade, that brought the Arabs, the Portuguese, the English, the Dutch and the French closer to the Indian subcontinent. Hence, not surprisingly, the food of Calicut is heavily influenced by the Arabs. The intermingling of Arabian food with the local spices and cooking techniques came to be known as Moplah cuisine. Moplahs are the Malayali speaking Muslim community in Malabar. Calicut or Kozhikode is one of the most foodie friendly cities of Kerala. Interestingly, almost all of the food joints are right next to each other and can be easily covered in a day’s time. We stayed there for 24 hours and managed to taste the food at all the iconic places. The journey started with Hotel Paragon beneath U.H. Flyover on Kannur road. The iconic restaurant is in existence since 1939 with branches in Calicut and Dubai. The restaurant is known for its yummilicious Dum Biryani, Fish Mango Curry and Vellappam. Fun fact, in Malabar region, the quality of rice is completely different compared to other parts on India. They use a special variety of rice called Jeeraksala rice- a small grained rice known for its delicious aroma and taste. The Biryani was lightly flavored, cooked using Jeerakshala. The accompaniments that are served with Biryani are Raita, coconut mint chutney and lemon pickle. There is no concept of salan in Kerala. To our surprise, the fish mango curry was creamish in texture and quite similar to a Delhi styled Butter Chicken gravy. The only addition was the raw mango slices. The smooth creamish fish curry complimented the Vellappam quite well. Most of the restaurants in Kerala serve tea with all the meals. The tea glasses and the style of making the beverage are uniform all across the state. At hotel Paragon, I tried the ‘dancing tea’ aka biryani tea. 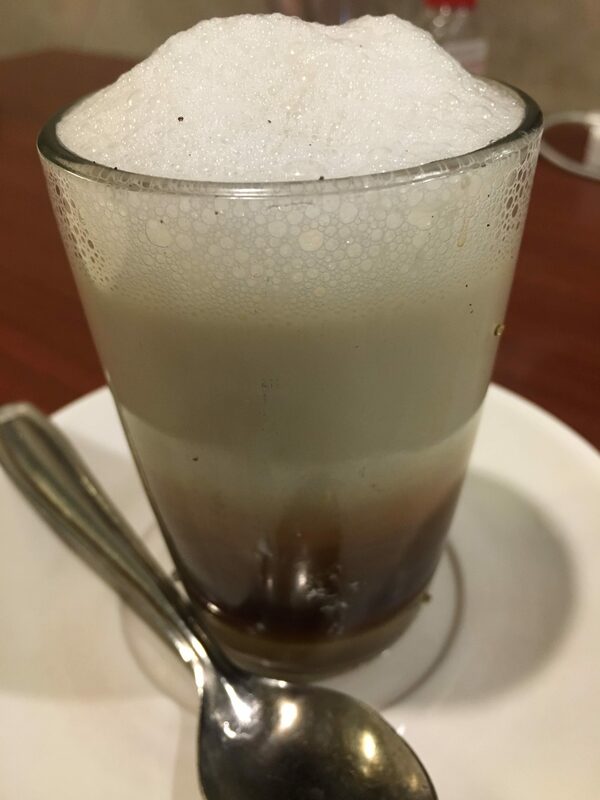 The tea was layered in style – tea, with milk and foam on the top. The layers were easily noticeable and the movement of different layers added a twisty surprise to the flavours of the beverage. When stirred with a spoon, it becomes a normal milk chai. Opposite to Hotel Paragon is Kerali Chips Corner, famous for fresh banana chips. The assembly line production and processing of banana chips are interesting to observe. The bananas are peeled – cut into pieces, washed, and fried in coconut oil. The fresh and crispy banana chips are a must-have snack at this place. Next to Hotel Paragon is Bhaskarettante Kada or milk sharbath shop. This shop, although only half a decade old, is the most popular joint in Kerala. 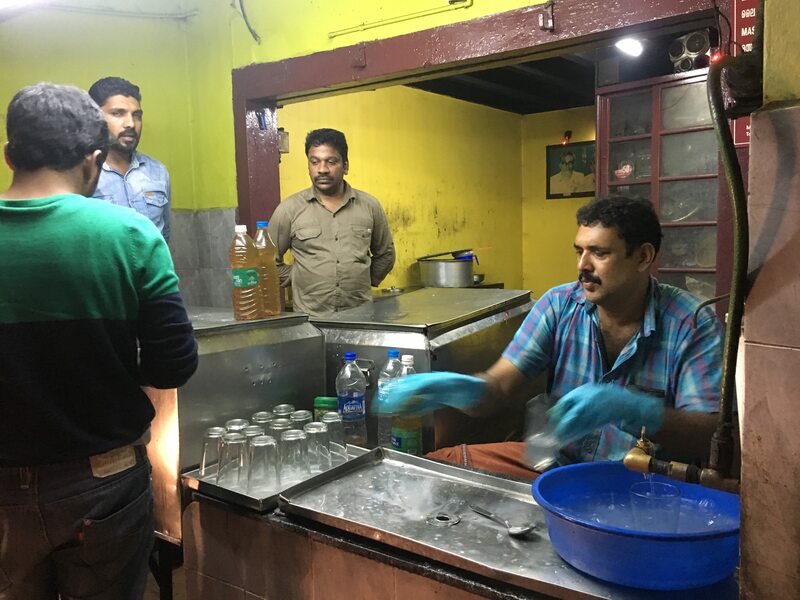 They have a pre mix of sugar syrup and essence of Nadan Nannari plant which is added to milk along with crushed ice. The same syrup is used for making other sharbaths. In lemon soda they also add a tablespoon of mint chutney in the sharbath. As the day wore on, we were fortunate to get a home cooked meal at Mrs Ameera Shafi’s home. 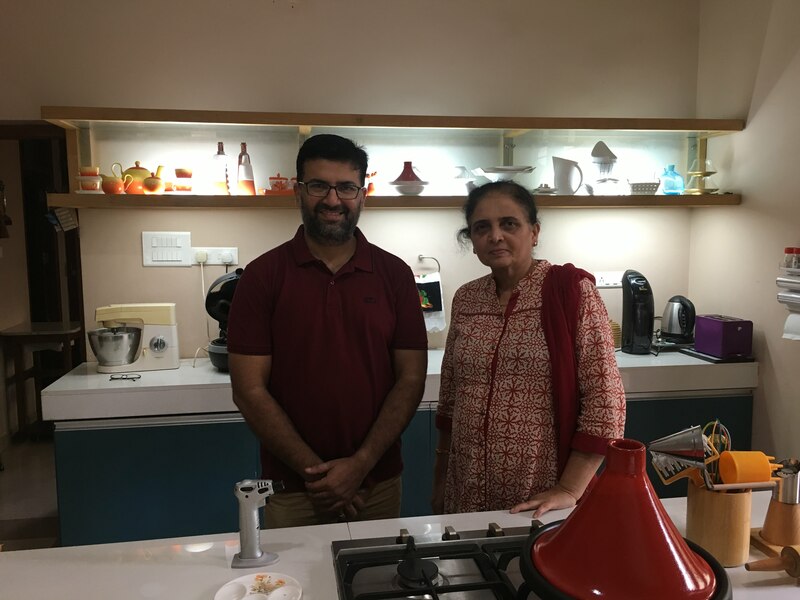 A housewife with great interest in cooking, she cooked for us to taste some of the most traditional and authentic dishes of Malabar. 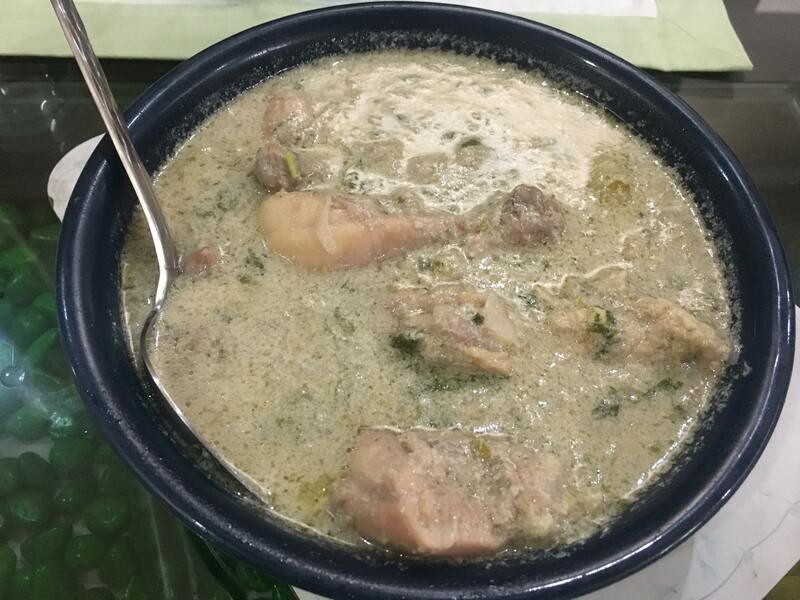 At her wonderful home, we got the chance to savour dry Mutta Mala, Pancharpatta, Chicken Stew, Ari Pathiri, Buff Fry and other dishes. 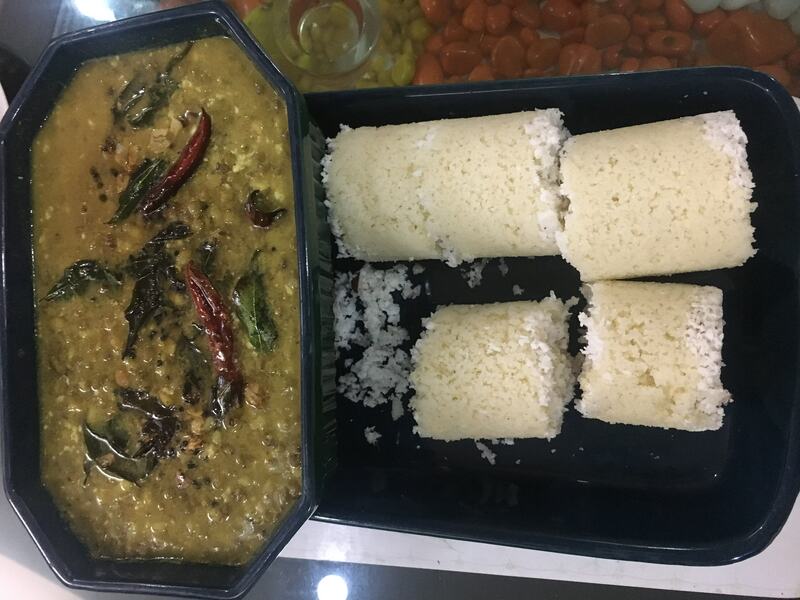 But the highlight was Mutta Mala and Pancharpatta; a traditional dessert in Malabar not easily available in the shops and streets. It is said that this dish, entirely made up of eggs, was brought to Malabar by the Portugese. In Portuguese they call it Fios De Ovos. The Malayalee word ‘Mutta’ is used for eggs hence can be called ‘egg garlands’. The egg white and yolk are separated before cooking and boiled in sugar syrup. 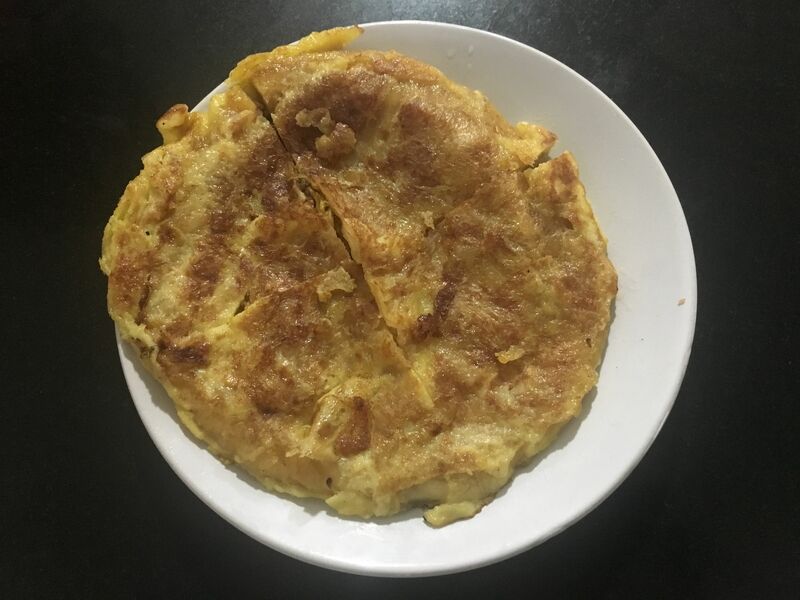 The other dish, Pancharapatta is different layers of eggs cooked in hot oil, on a slow fire, to be devoured with mashed bananas and powdered sugar. It is rightly said that there is no food close to home cooked food. 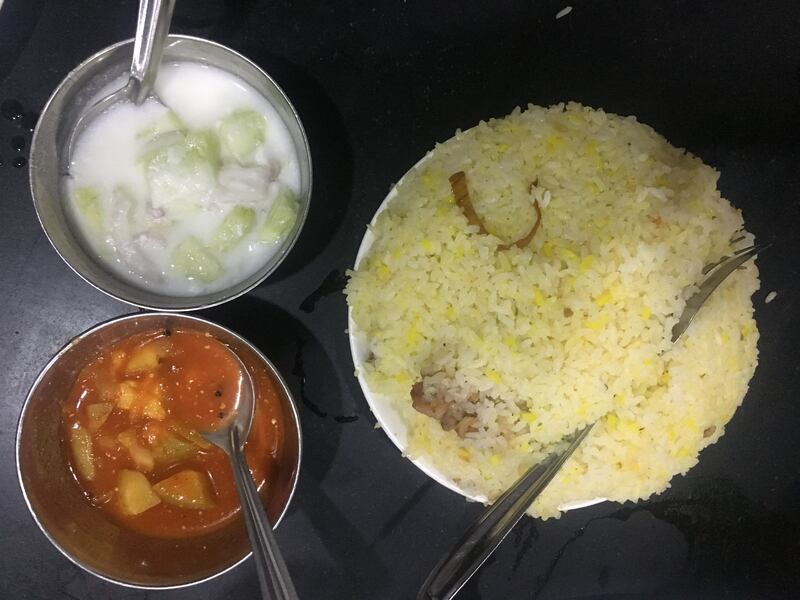 The next morning we started our food exploration in Calicut with Hotel Sagar located at Mavoor road, near KSRTC bus stand. For brunch, we had Ghee rice with Meen curry. The Meen curry was sour and tangy, flavoured with tamarind. It complemented the ghee flavoured Jeerkasala rice perfectly. Next we headed to Hotel Rehmath on A.G. Road. Established in 1961, the restaurant was started by Kunjahammad. 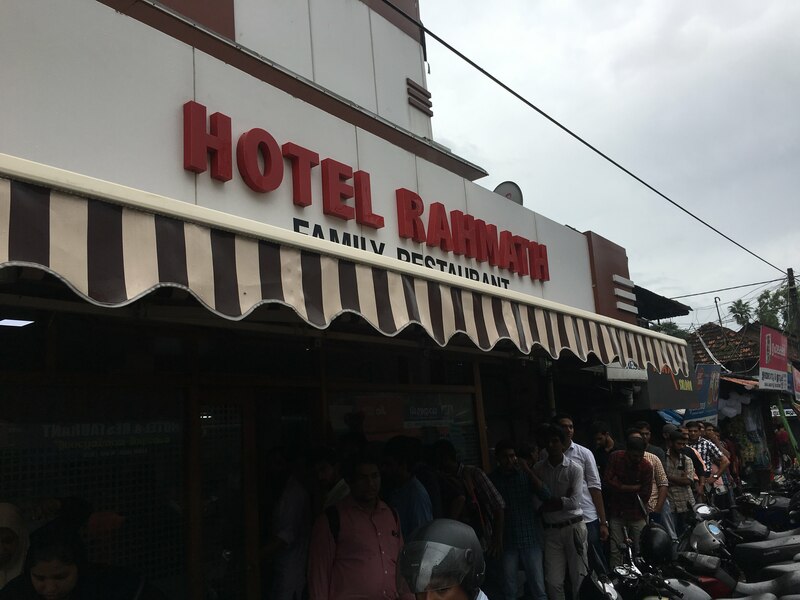 It is said that Hotel Rehmath was famous for its beef biryani, popular in Calicut. We reached the hotel around 1:00 pm and within few seconds there was a long queue even before the hotel opened its doors for us hungry souls. The restaurant has mutton, chicken, fish and Kada (quail) Biryani. The biryani, prepared with raisins, was a bit greasy compared to other biryani joints we visited in Calicut. 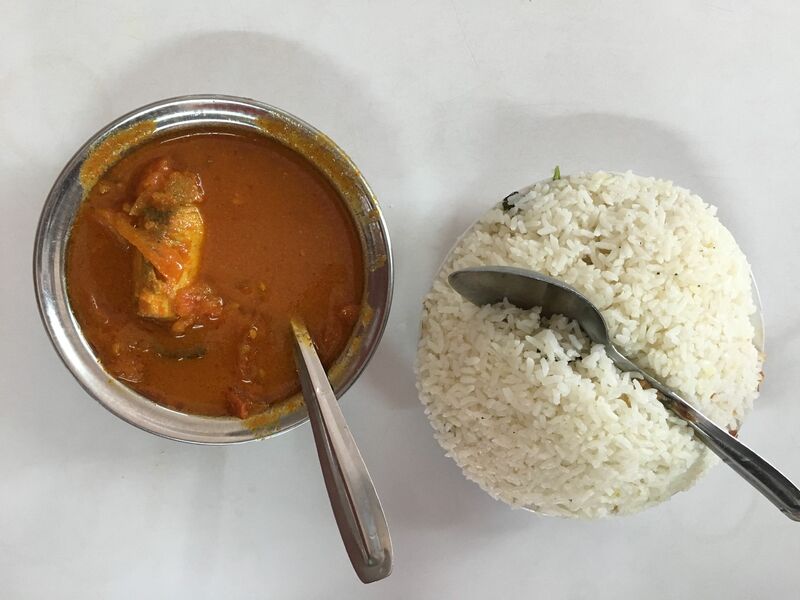 Located at a walking distance from Hotel Rehmath is SM Street known for Top Form Fish Biryani and numerous Calicut halwa shops. A food pilgrimage to Calicut is incomplete without getting the halwas packed for home. The different flavours of halwa range from a myriad of fruits to a variety of vegetables. Some of the common ones are coconut, banana, jaggery, mango, and tender coconut. The main ingredients of this delicacy are refined flour, sugar and coconut oil. We got our loot for home from Sankaran Bakery, recommended by a fellow foodie friend on Instagram. 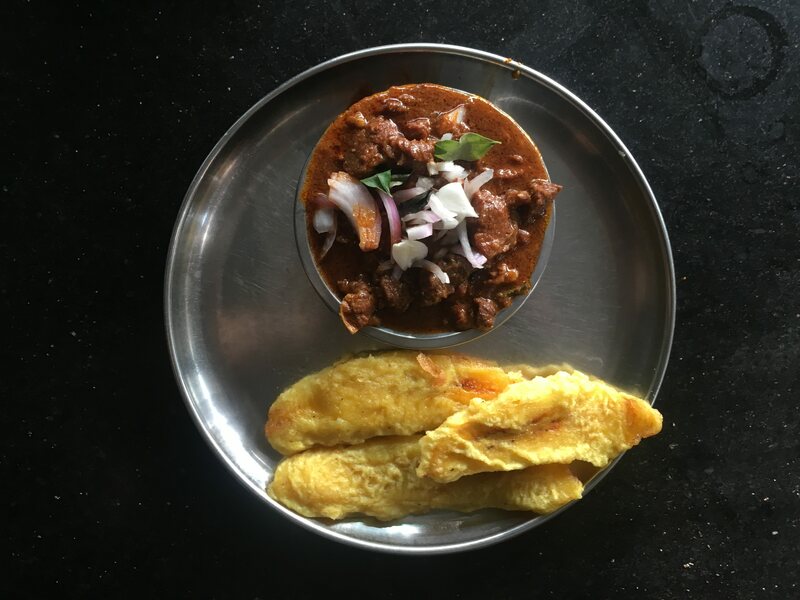 Adam Chaikada or Adam’s teashop is a new entrant to the food scenario of Calicut. Hardly a year old, this restaurant has now become a popular eatery in the city. Modeled on a Portuguese heritage property, the place retains its old school architecture. It is no less that any upscale restaurant in any of the big cities in India. The walls are adorned with paintings of localites cooking Malabari delicacies, with a few cooking utensils in display. The menu has been curated keeping in mind the younger generation, adding the perfect twist to the Malabari dishes. They currently serve more than 100 varieties of fried chicken. We tried a small platter and were blown by the creativity of the chef. We also tried a mocktail made up of green mangoes and green chilies. The concoction may give you hiccups but it is really a refreshing drink. Across the main junction of Adam Chaikada is Zains Hotel known for Malabari snacks. The restaurant is located at Convent Cross Road behind the beach fire station and the bright red colour of the building makes it look like a cottage. The restaurant was started by a lovely lady Zainabi Noor, 30 years back. In Malayali, she beautifully narrated the story of how her restaurant started. She only speaks Malayali, hence one of the servers from UP helped us in the translation. Noor’s husband, from Afghan, was working in Gulf for 15 years. Both of them decided to open up a restaurant in Calicut so that they can stay together. Her exceptional culinary skills helped in curating the menu and training the staff members. The kitchen at the restaurant is clean and well maintained. The walls of the restaurant are decorated with press cuttings and pictures of Noor Mohamads’s sporting days, from when he played Football for Kerala. Some of the Malabari snacks which are difficult to find at other places are available here like, Mutta mala (described above), Unnakaya (mashed boil bananas stuffed with grated coconut, raisins, cardamom), different varieties of stuffed breads known as Pathiri, which could be beef, chicken or fish. The last stop in Calicut was another iconic restaurant established in 1949- Hotel Bombay located at Silk Street, started by Kunjahamad. This two floored restaurant still has an old world charm attached to it. A restaurant synonymous with Moplah biryani and Malabari snacks, people in Calicut still vow to their Biryani. The Biryani that is served with Date-chutney and Raita has a distinctive flavor in comparison to all the other places we tried. Tasting a bit artificial, this one didn’t please our palette as much as we would have hoped. 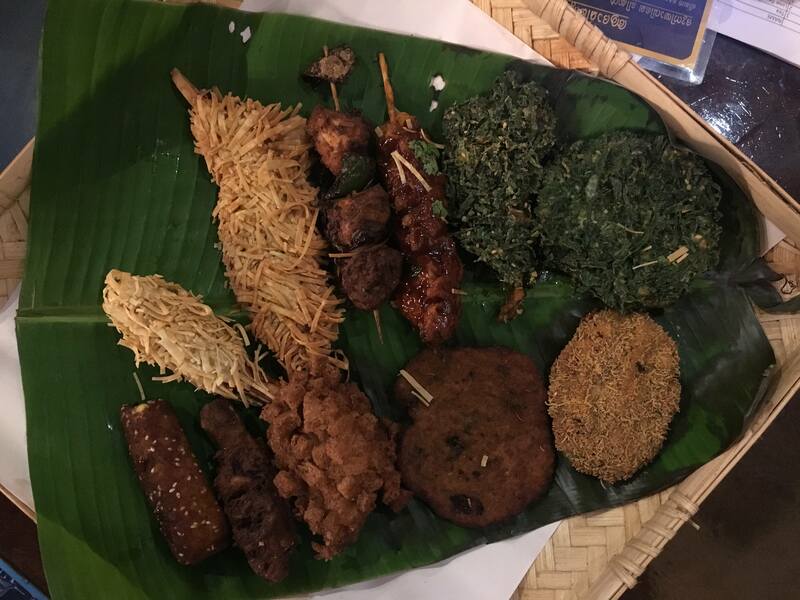 Some of the Malabar snacks on offer at Hotel Bombay are Kozhi Porichathu, Mutton Cutlet, Elanchi, Unnakaya and cakes. One of the most revered dishes here is the Ela ada. 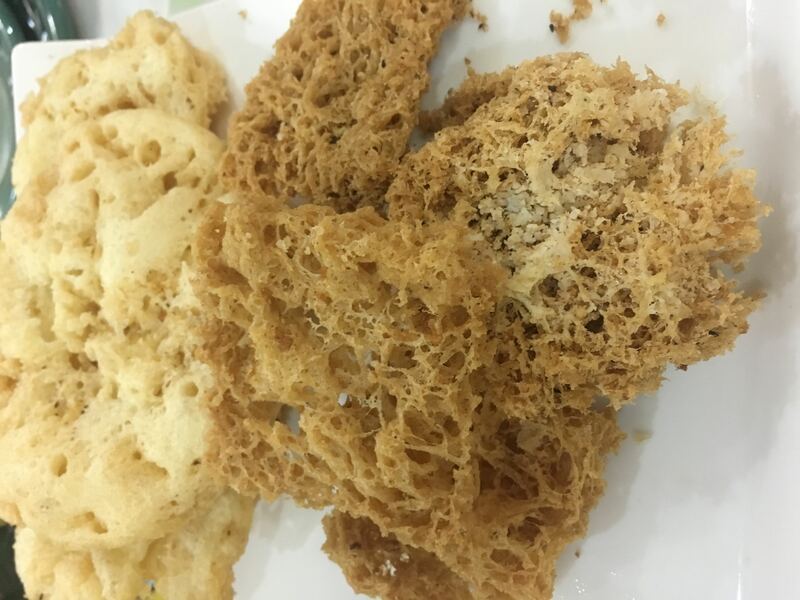 The main ingredients of Ela ada are rice powder, jaggery and coconut. With no usage of oil, the mixture is then wrapped in a banana leaf or plantain, and steamed. This is another place where one can try the Biryani tea. As it takes lot of time to make biryani tea, they only serve it before 3 pm and after 8 pm. Another kind of tea popular in Malabar region is Sulaimani chai- a black tea preparation with cardamom, ginger and lemon. Of all the cities we have been to in Kerala, this was one city that had a long affair with its Biryani. All the restaurants have their specialty as Biryani – be it hotel Rehmath, Zains, Paragon, Bombay or Top form. In fact, it was more of a kind of Biryani trail for us; our favorite being the Hotel Paragon. The lightly flavoured, non greasy Biryani served with Raita and chutney was delectable. Calicut is, and should be rightly called as the food city of Malabar. Journeying further into the God’s own country, we reached Kannur and Thalassery. In Kannur, even though we could not visit a lot of different places, we had our hearts’ fill at Hotel Odhens on Odhens street, known for its fried sea food delicacies. The peculiar restaurant opens only for lunch between 12 noon and 3 pm. The mad rush of people standing next to the tables speaks quite well of the popularity of the place. 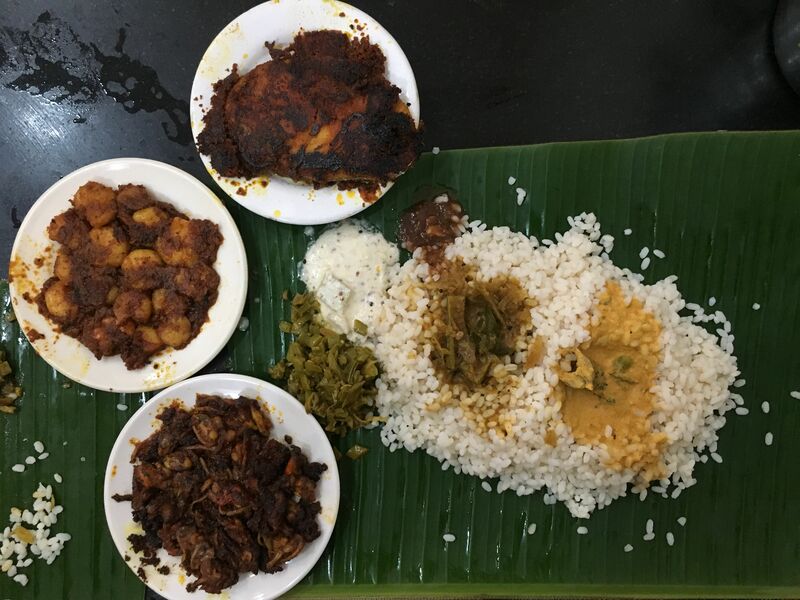 We ordered a fish curry meal that was served on a banana leaf, and tried fried squid, fried prawns and fried mussels known as kallumakkai or ‘fruit on the rock’ in Malabar. Kanji vellam or rice water is the drink served with meal. The last city of our 9 day food sojourn in Kerala was the biryani capital of Malabar- Thalassery. Thalassery is synonymous with Biryani. The city is easily accessible by local buses and trains from Kannur and all the food joints can be covered in a few hours. The two iconic restaurants here are Paris Hotel- not to be confused with France and Rara Avis. Rara Avis is near the New bus stand, AVK Nair road and Paris Hotel is in an old heritage building at Logan’s road. Interestingly, the building used to be Kerala’s first printing press. Both of them are known for the Thalassery style Biryani. There are two styles of cooking biryani in India- Pakki and Kachi. 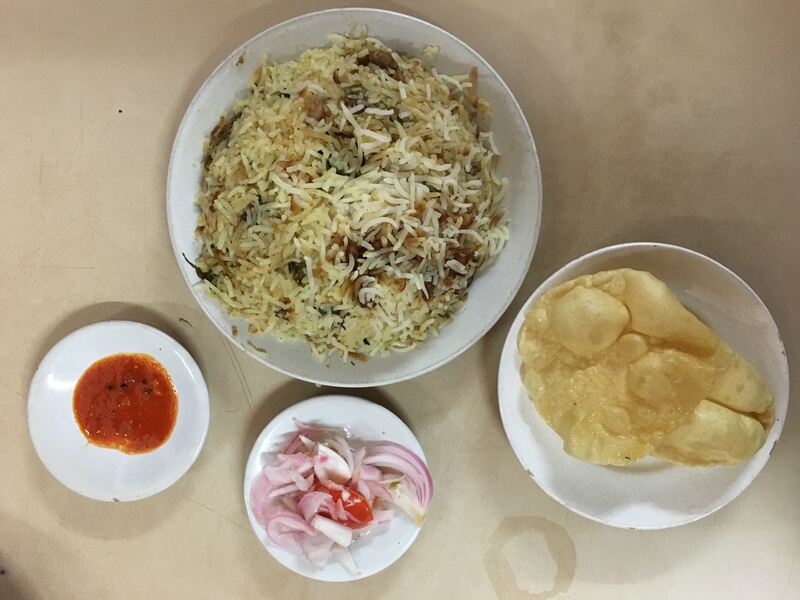 The Kachi Biryani is of Hyderabad – they call it Kacche Ghosht ki Biryani where meat and rice are cooked together. In Pakki style, both the main ingredients are cooked separately, meat and rice are layered and put on dum. This can be called dum biryani as well. In Thalassery the Biryani is Pakki Dum style Biryani. Coming to the quality of rice, most of the North Indian states use basmati for making biryani. However, in Thalassery they use Jeerakasala rice. The rice is small grained and full of aroma. The Biryani is devoid of colours. The accompaniments are onion Raita and pickles. There is no concept of salan in Malabar, as the biryani can be relished in its own flavours itself. We tried the biryani at Rara Avis. It was simply delicious. The flavours of the rice were excellent. We also tried the rice pooris called Ney pathiri, served with a small portion of chicken curry..
Our last stop was the newly opened restaurant, Sea Park Views with Ari Orotti and chicken stew tingling our taste buds and leaving us with dreams of visiting again, and experiencing this, and much more, over and over again! We began our food journey in Kollam, with Fehalwan Hotel. Fehalwans are professional wrestlers. In north India, they are colloquially called Pehalwans. The walls of Fehalwan hotel are adorned with the pictures of Md. Kunju, dating back to his wrestling days. 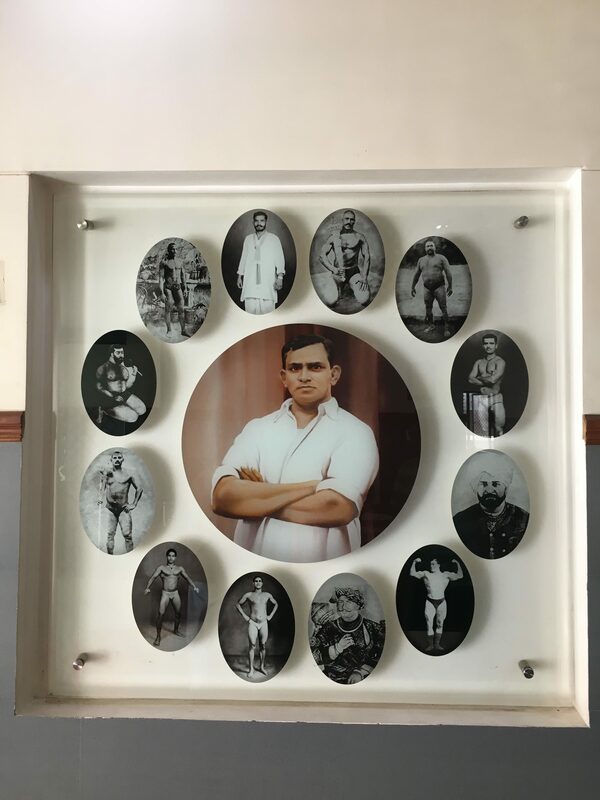 It is said that Md Kunju used to bring professional wrestlers to the city and and the ground behind the restaurant was a hub for wrestling matches. There are private cubicles in the hotel, where one can relish the food with their dear ones. 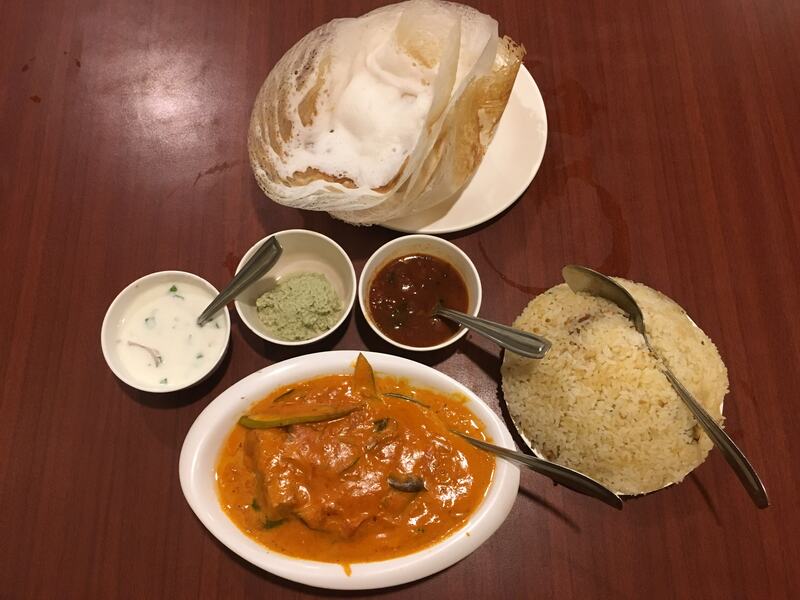 Visiting during the morning hours when breakfast was on in full frenzy, we tried Appam with spicy fish curry. Another popular favourite amongst the locals at Fehalwan Hotel is the Mutton Biryani. Served only during the lunch hours, this delicacy gets over in a matter of hours, as crowds throng to get a taste of the same. Not too far from Fehalwan is a vegetarian restaurant named Guruprasad. We decided to give the Vegetable Biryani a try here. The biryani is served with Raita, Papad and pickles, and garnished with fried bread crumbs which give it a crunchy, munchy flavour. Lucky for us, we managed to try the local dessert in Kerala, the renowned, Jaggery Payasam, as it was a Sunday. For lunch, we were recommended to try Ramees restaurant. At Ramees, we had Chicken Firecracker, Mutton Roast and Ari Pathri. The boneless chicken was marinated in local spices and wrapped in pandan leaves, and deep fried. It was truly delicious. 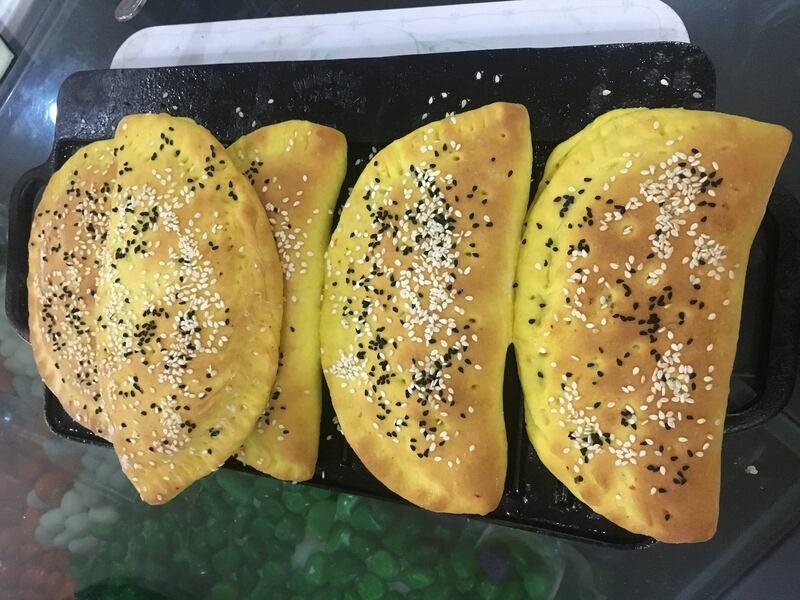 An equivalent of Rumali Roti in North India, Ari Pathiri, the thinly made rice flour breads are cooked and dipped in coconut milk to make them softer. After a sumptuous lunch, we decided to visit the beaches of Kerala, to explore the snack options available there. We entered a hub of stalls serving chana tossed with red chilies and spices, coconut water, roasted peanuts and mango slices and amla pieces dipped in salt water (Uppil ettah th ). The mango, pineapple, cucumber slices are eaten with red chilly chutney. However, our highlight of the Kerala food journey was Ezuthaniyil Tea Shop in Keralapuram. 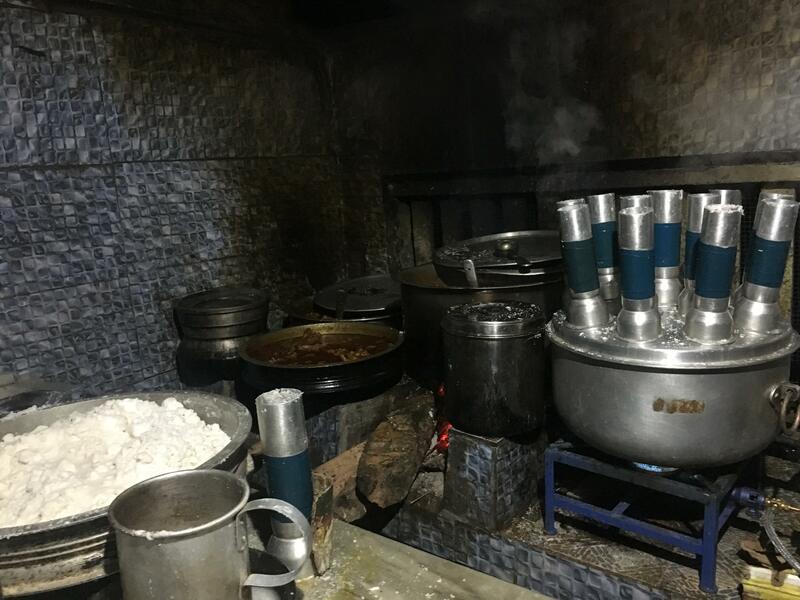 A shop with no name plate and a hut like structure, that is immensely popular for its mutton curry, mutton roast and cake nuggets. 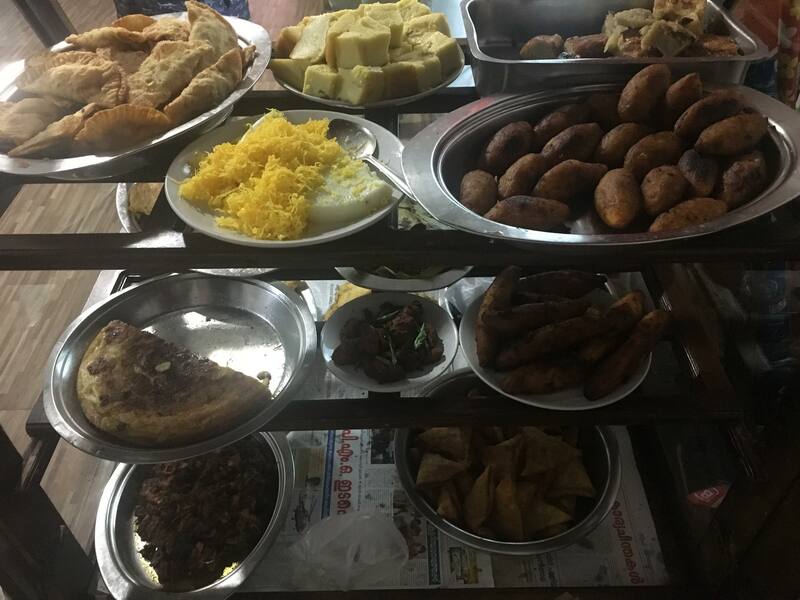 Established in 1948 by Meera Sahib, the place is flocked by crowds from far distances for mutton curry and special cakes. The raw spices are freshly ground and used to prepare the spice mix to add to the mutton curry. The onions that are used to cook the curry are small madras onions, which bring in their own unique flavour. We devoured it with the flaky and perfect Malabari Parottas. The special cakes, which are also a revered delicacy, are prepared using refined flour, duck eggs and sugar. 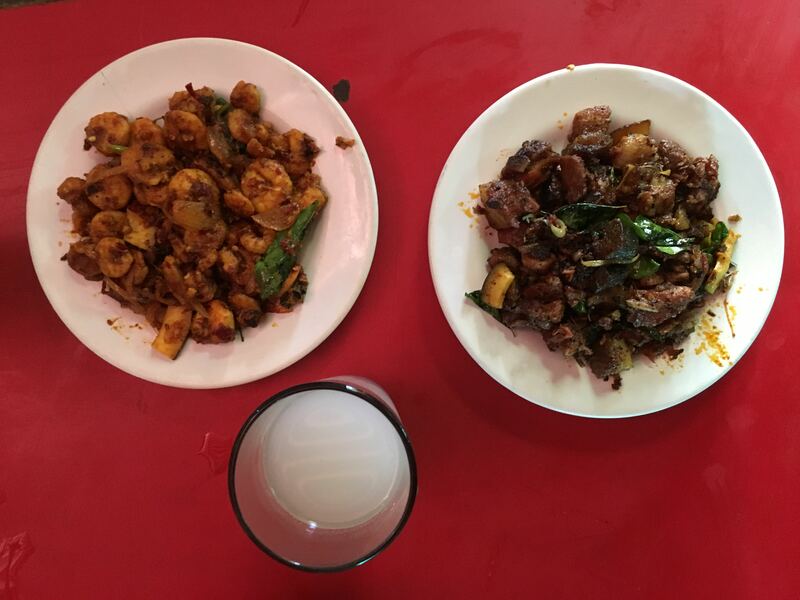 In Kottayam, we decided to visit the Karimpumkala Restaurant, known for its sea food. 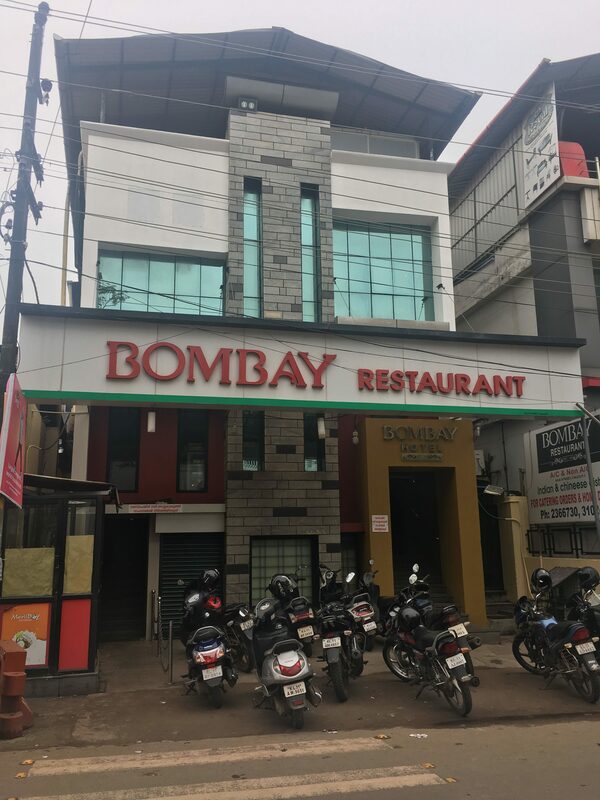 The restaurant is located at Pallom on M.C.Road. 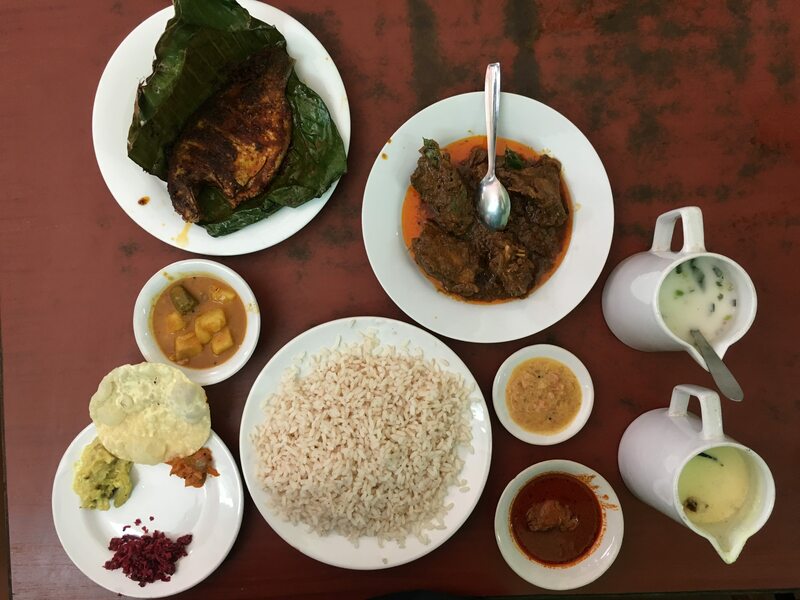 We tried the regular fish curry meal with karimeen polichathu, which is a black pearl fish marinated in different spices wrapped in banana leaves and deep fried. From Kottayam, we headed to Kumrakom, a beautiful place famous for its bird sanctuary and houseboats. We visited Kumarakom toddy parlor. There are separate compartments where one can sip toddy, the local mildly alcoholic beverage made from coconut palm trees. 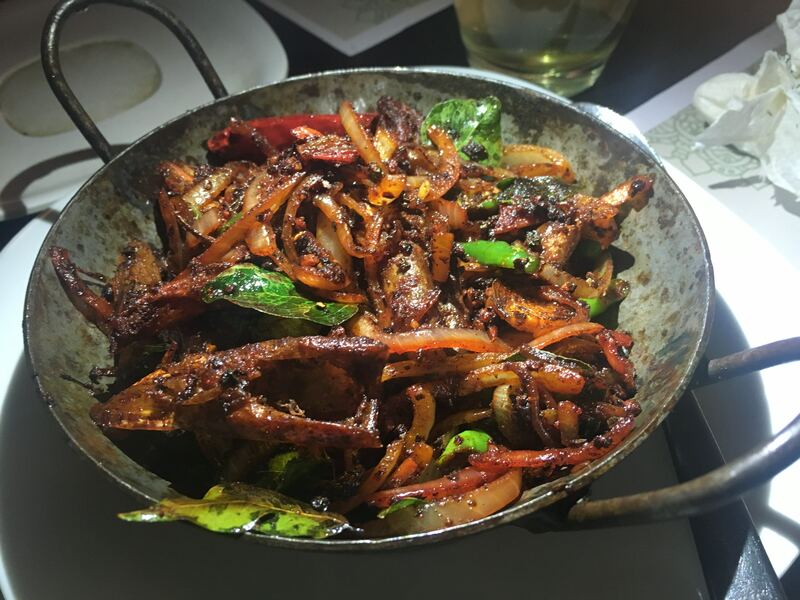 The dishes that accompany toddy are typically spicy and fried dishes. Fort Cochin is a thing of magnificence, and a popular tourist destination. In order to experience the local culture, we booked a homestay and hired a bike to explore the city. At Fort Cochin, the sight of Chinese fishing nets being used to catch the fish greets you, and one can ride the jetty to cross the sea, parking their cars and bikes on the jetty itself. 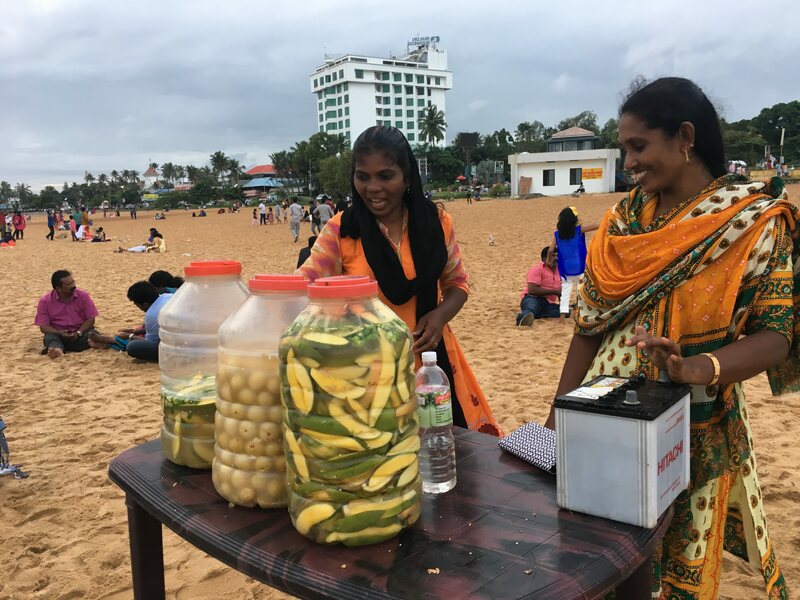 On the beach, the concept of ‘you buy and we cook’ is extremely popular – you can buy the fish as per your taste preferences and ask the small eateries to cook using the local spices. We started our day with Kayees Restaurant in Mattancherry known for its Mutton Biryani. This lightly flavored Biryani with no colours and onions is cooked using Dum style. We took the jetty ride to Ernakulum city to Mullapanthal Toddy Parlor. The toddy parlor has both individual rooms and a common area. The parlor is flocked by people from different age groups. Perhaps, Kerala is the only place where the restaurants serve both beef and pork under one roof. We tried the pork fry. Slightly on the spicy side, it goes well with the toddy. Another interesting Chakhna (snacks served with alcoholic drinks ) served with the toddy here is Chamandi – a paste like consistency with the main ingredients being red chilies, garlic, onion and coconut oil. It is served with tapioca. While returning, we stopped at Sri Muruga café at Poonathara near Thripunithara. The café is decorated with bananas hanging from the roof. 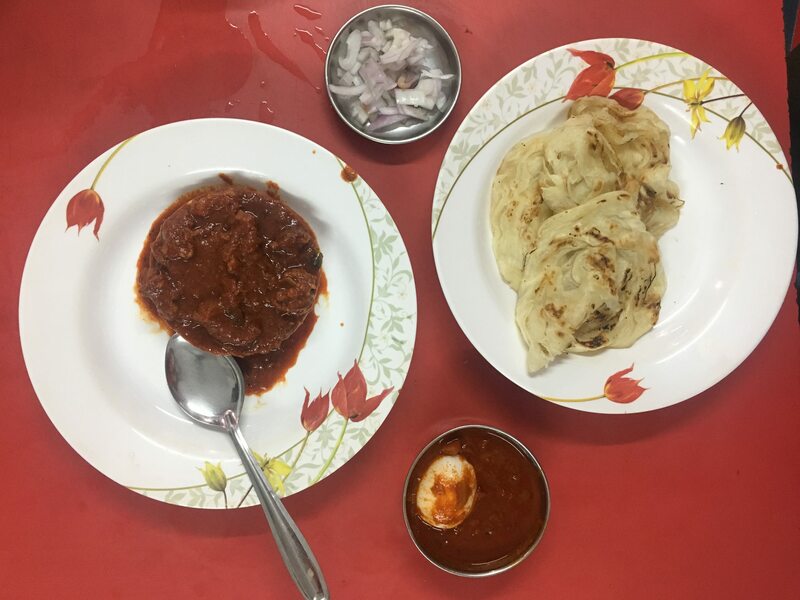 Sri Muruga is famous for Pazham Pori with Beef Curry. Pazham Pori, a common snack available all across Kerala is made up of ripened banana wrapped in the batter of all purpose flour and deep fried. Most of the Malyalees eat it with a cup of tea or as a snack. We also experienced the unconventional and unique taste of spicy beef curry with sweet banana fry. For our dinner, we headed to Dhe Puttu, a restaurant run by Malyalee actor Dileep. Unlike the controversies faced by the actor, the food here was nothing but a delight. In fact, it was the most expensive meal we had in Kerala. 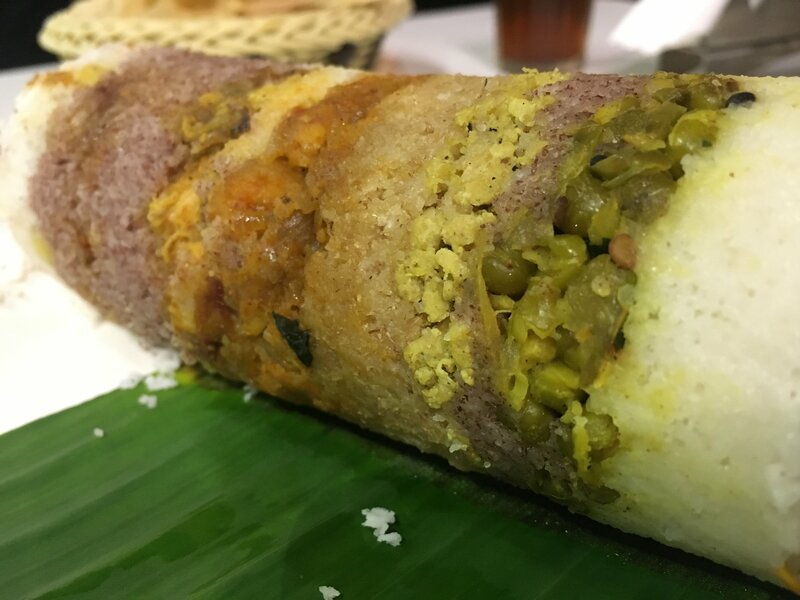 On the recommendation of the server, we ordered Red snapper fish and multi layered puttu named Ezhusundhara Rathrikal. The multi layered puttu had prawns, chicken and pork in it. It was truly delicious. The snapper was first deep fried and then a layer of onion masala was spread over it. The last meal in Ernakulum was at Puttu Kada. The eatery is located at Pallikadavu, Kumbalam near St. Mary’s church. Out of all the places we tried in Kerala, this was the most interesting to dine at. The operating hours of the restaurant are from 8 pm till the stock lasts, usually till 2 am. The eatery, initially started for fishermen has slowly become popular amongst the locals as well. The menu is quite simple – beef curry, mutton curry, chicken curry, fried chicken, boiled duck eggs and puttu. A simplistic place with only a few tables and benches as the main architecture, here the food speaks for itself. We tried the chicken curry with puttu and were impressed with the preparations. The chicken was cooked with lot of onions and special spices. It was a great end to our Cochin food journey. Before leaving for Calicut, the breakfast at Ifthar restaurant was of typical Malabar dishes. 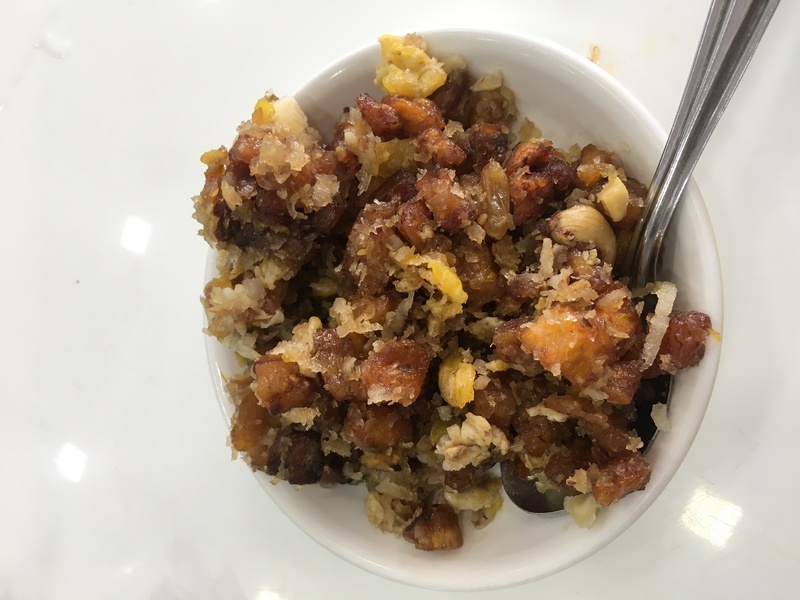 Both the banana based dishes Kayikritha, Pazam Kuzachath are fried using ripened bananas and mixed with eggs, sugar, cardamom powder, and dry fruits. All in all, it was a truly a journey equivalent to culinary heaven.